We already know that linking certain types of radioactive agent to specific forms of prostate-specific membrane antigen (PSMA) offers new opportunities for the treatment of challenging cases of prostate cancer. Research in this area has looked particularly promising with the combination of lutetium-177 and PSMAs. In a paper presented yesterday at the annual meeting of the Society of Nuclear Medicine and Molecular Imaging (SNMMI), Lütje and co-authors (from Radboud University Medical Center in Nijmegen, the Netherlands, and the Clinic for Nuclear Medicine at University Hospital Essen, Germany) have now also shown that combination of indium-111 with a photosensitizing agent and an anti-PSMA antibody may be able to have similar effects — although their research is currently limited to the treatment of experimentally developed tumors in mice, and this form of treatment has yet to be tested in actual patients. Click here for the report on the ScienceDaily web site. Basically, this technique allows clinicians to identify the area when a tumor is located, inject the combination agent, and then use light to activate the agent after it has become attached to PSMA molecules associated with the actual tumor, so it is a highly targetable form of therapy. 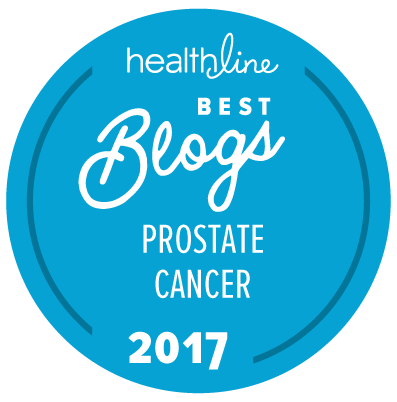 We are continuing to see the development of a spectrum of new forms of treatment that will be particularly relevant for men who have forms of prostate cancer that have traditionally been difficult to treat for one reason or another. It is going to take time for these treatments to reach routine clinical practice, however. Why was there not an additional clinical trial with radium-223 for those men that had a high success rate? I am told it was not considered due to the low success rate with some patients, and the risks associated for same. BUT … if there was high success without adverse side effects for the high success group then it seems logical to do a second phase with radium-223 using only these patients. … It should be reviewed again. I had nearly a 95% PSA reduction with zero side effects, but was told I could not receive a second round of injections. I am obviously unaware who told you you couldn’t have a second round of treatment with radium-223, but what I can tell you is that early last year, at the Genitourinary Cancers Symposium in San Francisco, data was presented (see here) showing that a second round of radium-223 could be given effectively and safely to selected patients (who would presumably include men like you who had successfully received a first round with no or only limited side effects). I wonder if the real issue was that your insurer didn’t want to pay for a second round of treatment. Can you please provide me with a name of the facility, or medical oncologist, that are administering the radium-223. Does Roswell Park in Buffalo provide this second round? The trial I mentioned was done by Dr. Oliver Sartor and colleagues at the Tulane Cancer Center in New Orleans. However, I’d be surprised if there weren’t other centers that were prepared to do this. Actually, you might be eligible for enrollment in this clinical trial at any one of the 77 centers where it is being carried out. One of them is in Buffalo!